A Bold Spirit After the Great Depression, in the late 1930’s and 1940’s, when unions were fighting for social justice throughout the country and their organizers were being threatened with their lives, there arrived a heroine, Lucy Randolph Mason. She was a small, spry lady of 65 who took the South by storm. She went toe to toe with the big industries and gruff sheriffs, when the toughest of organizers would have failed. She figured, “Who’d hurt a little, white-haired old woman?” Being a descendant of the Bill of Rights author George Mason, as well as of US Supreme Court Justice John Marshall, and the Randolphs of Virginia, Miss Lucy had the grace and social position to charm any opponent. Being related to half of the south didn’t hurt either! Her story Lucy Randolph Mason was born in 1882 to Reverend Landon Mason and Lucy Ambler Mason, whose father was also a minister. She was a southern blue blood raised in Richmond, Virginia, watching her parents care for the poor and unfortunate. As a teen, Lucy dreamed of being a foreign missionary, and in her twenties she focused her concerns on the working people and labor unions. She would have gone into the ministry had she been a man. Leadership Miss Lucy organized the League of Women Voters and became president of the Richmond chapter. 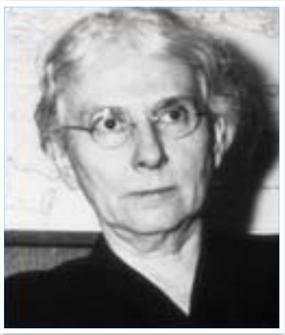 She was appointed Industrial Secretary of the YWCA where she became concerned about the problems of the working people. She was appointed to the executive committee of the Virginia Commission for Interracial Cooperation, where she fought City Council on segregation issues. Eventually she realized that her focus should be broader than just Virginia, and in 1932 she became the director for the National Consumers’ League in New York. Here Miss Lucy was asked to join the CIO as its Southern Public Relations Representative, which she eagerly accepted. An Important Friendship During the years of FDR’s Presidency, Miss Lucy developed a correspondence with Eleanor Roosevelt that consisted of hundreds of letters between the two women in which she worked to inform the First Lady about issues advocating “for social, economic and racial justice in the American South” (from Shaddox, Abagail. "Access and Friendship: The Correspondence of Lucy Randolph Mason and Eleanor Roosevelt" 2007.) A Sweet but Furious Fighter Miss Lucy had many excursions in the south fighting for workers’ rights and against corruption, in a time when industries were dead set against unions interfering in their business. Yet her sweet demeanor combined with a “cold, strong fury” in the face of injustice earned her great respect. She settled in Atlanta where she remained as a member of the AFL-CIO until her death in 1959. Although her parents rest in Hollywood Cemetery, Lucy Mason is in Ivy Hill with the majority of her family. Please share your memories of Lucy Randolph.